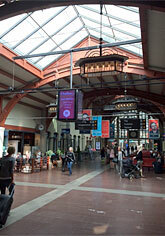 Both you as a tourist and you that are living in Gothenburg can not miss Central Station in Gothenburg. 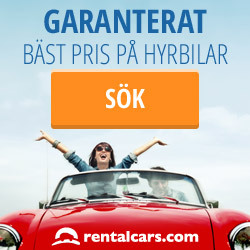 You arrive to Gothenburg via train or bus to your final destination, Central Station. The building dates from 1858 but has been rebuilt in different stages. Centralstation in Gothenburg/Centralen inagurated in 1858 and the place was actually Gothenburg crown jail / prison before. It was a prison here between 1816 to 1855. Later Centralen was bought by railway manager Nils Ericsson for 1850 swedish crowns. 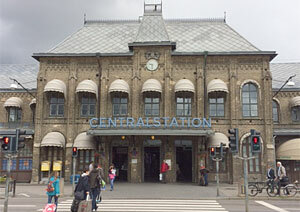 Before the Centralstation was in place there was a station at Lilla Bommen. In 1855 there were 16 employees who handled everything about train services in Gothenburg. Where the station building is located was formerly one of the bastions that were in the city in the early 1600s to the mid-1800s, Johnannes Rex. Today the area is called Drottningtorget, before its name was Block 9 Nye Port. State Railway was the name right up until it changed its name to Central Station in 1930. The first architect of the National Railway was Adolf Wilhelm Edelsvärd. 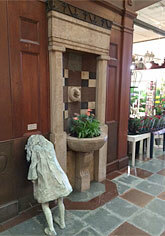 In 1923 the station was expanded and rebuilt after drawings by Folke Zettervall. 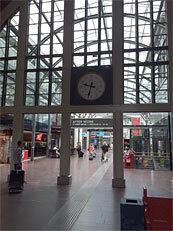 The vestibule was the ticket hall (opposite to Drottnintorget) and station hall became waiting hall. 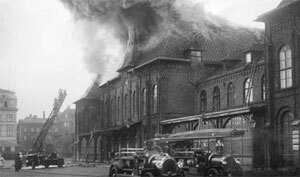 In 1923 it was a fire at the Central Station and it resulted in that there was major damage to the building. 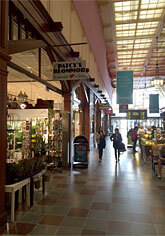 1930 the station was rebuilt with more more buildings and a restaurant was built oppsite to Drottningtorget. 1993 the station went through a restoration and in 2003 the "Centralhuset" was finished. In the Central Hall there are hotels, several shops, restaurants, cafes. Adjacent to the Centralhuset is the bus terminal, Nils Ericson Terminal where several buses take you to places in Sweden and Europe. Feels a bit like getting into a big air hall - and you want to travle immediately. View towards entrance to Nordstan west side. Do you wonder what the rock artwork is called at thte western entrance to Centralstation. "Bohuslän" by Clas Haeke 1983. 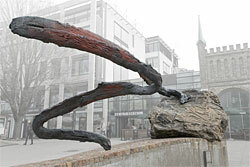 Previously, it was located at the railway track but was moved to the site in 2009. Clas Haeke have more stone monuments in Gothenburg, blah Southern gate at Ullevimotet, Fire Victims Monument on Hisingen and for the sun ring outside the University Library. Who was the first woman train driver. Ulla-Brita Neibig who started to drive for Rail AB Roslagsbanan June 10, 1972. 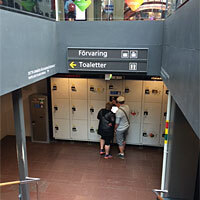 Inside Centralstationen downstairs are clean toilets, showers and lockers. Different price depending on how long you store your luggage. They also have storage on some other places in the hall. Visit to the toilet costs.